Michael storms into the courthouse, and tells Kiki she can’t marry Morgan. He shows her the newspaper with her birth certificate on the first page. 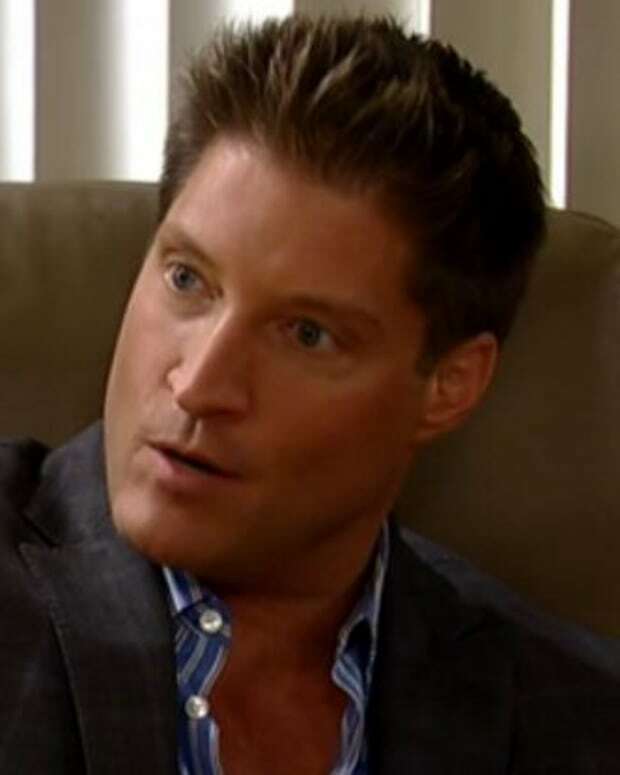 Kiki asks if Franco is not a Quartermaine, but Michael informs Kiki she isn’t Franco’s daughter. Silas is her father, and Ava admitted it to him. Silas is angry with Ava, and demands she admit he’s Kiki’s father. At first, Ava tries to spin things, but ultimately confesses the truth. Silas asks if Kiki knows, and Ava figures her daughter has likely seen the newspaper like everyone else. Luke wonders if the vial Sean is holding is the cure, and Anna Donely explains it’s just a temporary measure. She informs them the Balkan targeted Sean, and shot him with a Polonium laced bullet. They also went after Jerry for the cure. Anna D. mentions the production of the cure has stopped, and what they have is only temporary. Britt is surprised to find her mother waiting for her in the apartment. She was at the movies with Nikolas, and her mother is not happy about it. Britt complains Patrick loves Sabrina, so Dr. Obrecht suggests they get rid of the competition. Britt points out her suggestion is something her father would do, and her mother snaps at her to speak with respect. Britt becomes annoyed, and heads out to her birthing class. Dr. Obrecht speaks to a photo of Faison with a young Anna and Robin. She vows to get rid of her own competition. Maxie has decorations for Mac and Felicia’s pre-wedding celebration. Spin tries to help her, and she snaps at him. He apologizes, and admits he’s been feeling fatherly since attending her birthing class. Dante and Lulu arrive early to the birthing class, and discuss Luke’s absence. Lulu is determined not to stress about it. 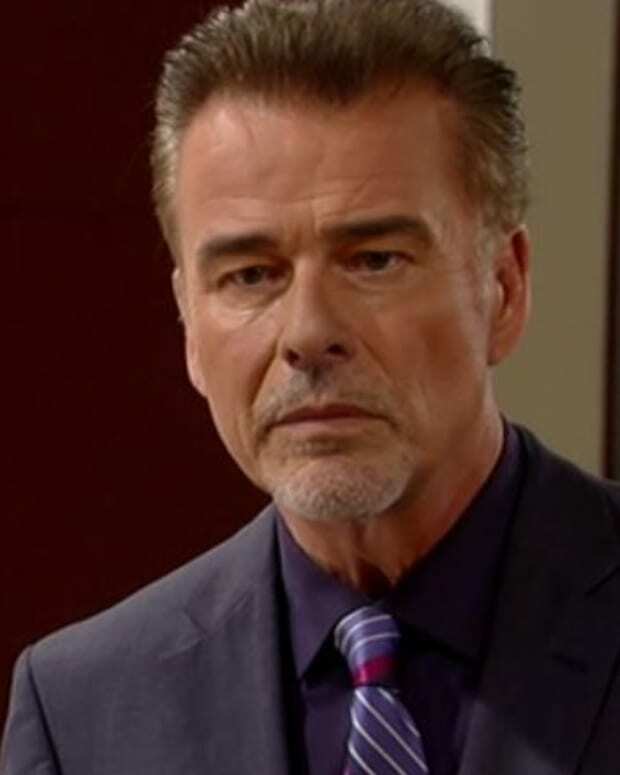 Duke tells Anna about the upheaval at ELQ, and warns he may be out of a job thanks to Ava. He shows Anna the newspaper, and Anna feels she can’t judge Ava, because she did the same to Robert. The two are sad Robert won’t be at Mac’s wedding. Anna knows Robert is too stubborn to die, and will wake up from the coma. She promises she’ll give him Dr. Obrecht’s head on a stick. Silas wonders why Ava kept the secret for all these years, and asks if she hated him that much. Ava claims she always loved him, and is a very passionate person. She goes off on him, and then pulls him into a kiss. Silas breaks it off, and says he wants to be a part of Kiki’s life. Ava warns Silas he’s going to ruin things for both of them. Sabrina still has suspicions about Britt and her mother. However, Patrick reminds her the baby is coming soon, and he needs to treat it like his own. At the birthing class, Lulu continues to thank Maxie for helping her and Dante bring their child into the world. Patrick tells Britt he can’t wait to fall in love with this baby. Britt has something to tell him. Luke asks Sean for Jerry&apos;s whereabouts, so he can find him and the cure for the both of them. Sean agrees, and gives him the vial. Spinelli tells Felix and Sabrina he found Britt’s birth certificate, which lists her mother as Liesl Westbourne. Liesl became a doctor, but had her license stripped and disappeared. He shows them a photo of a young Dr. Obrecht, and Sabrina recognizes her. Anna tells Duke she found out some more information on Dr. Obrecht with the WSB’s help. Before the clinic, Dr. Obrecht doesn’t seem to exist. At that moment, Dr. Obrecht in a blonde wig sits downs beside them, as they continue to discuss her. She pulls out a bottle of Propofol to use on Anna. Michael tells Kiki they aren’t related, and it’s okay for them to be together. He wants her to call off the wedding, and tell Morgan it’s over. Morgan announces they are already married. An enraged Michael accuses Morgan of knowing about the newspaper, which is why he rushed things. Kiki asks Morgan if he knew, and he skirts around the question. Morgan claims it makes no difference who she is, because he loves her. Again, Kiki asks him to tell the truth, but Morgan doesn’t. He tells Michael they are going to celebrate their wedding night together.